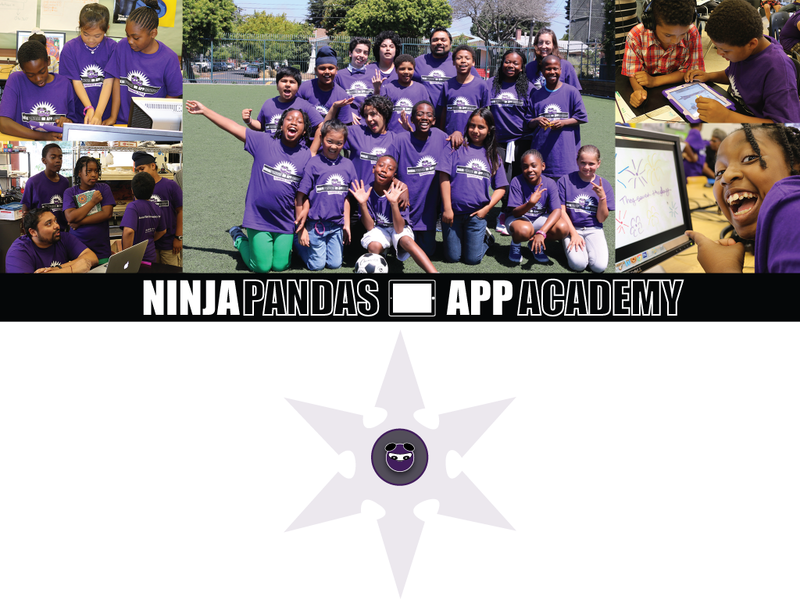 The Anna Yates Ninja Panda App Academy was held in July of 2014 at Anna Yates School in Emeryville California. Five days a week, four hours a day for four weeks, these Honorary Ninjas started as fifth through eighth graders and learned to illustrate and narrate their own stories and code their own gameplay by the end of the course. It is their work that you see here. We are Ninja Pandas, an indie game development company that teaches kids to code and teachers to teach app development to kids and adults of all ages. This camp came about through an introduction from the STEM Institute at CSUEB who introduced our sponsor, Wareham Development to Ninja Pandas to team up and teach with Emeryville school teachers Laura Turner, Regina Chagolla, Karen Sukenic and Carol Balfe. This app showcases each student’s work in the camp.